Hermit Pond Farm is home to 50-80 cashmere goats, a dozen cats, and one aging refugee from city life. The Hermit Pond goats are almost all black, with fine, crimpy fiber. They have earned a nice collection of ribbons from cashmere goat shows, and prize-winning bucks have been purchased to enrich the bloodlines. 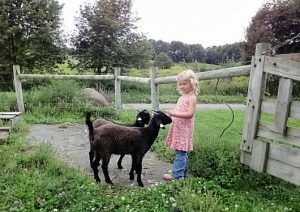 Located in Brookfield, Hermit Pond Farm is one of the oldest cashmere goat farms in the Northeast. 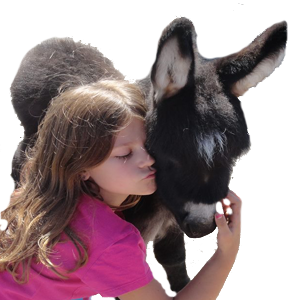 Come and watch the antics of the 3-month-old kids, admire the handsome bucks, hold a bottle baby, and learn a bit about these amazing animals and their fiber.